At any construction site, a drinking water bottle or container has become one of our best friend. You can notice that almost 60 - 80% of the workers at construction site are carrying a drinking water bottle with them. But there is one unsafe practice or issue is going at site and it's still happening up to now. This is when a certain worker will use a drinking water bottle for another purpose and then another worker with the same bottle will use it for drinking. One scenario is that a liquid chemical or thinner (which its physical appearance is almost the same of water) was filled in a drinking water bottle and by mistakenly a certain worker without his/her knowledge that the liquid inside the bottle is a thinner, will consumed it or use for drinking. This example scenario is very common incident happening at construction site. HOW TO STOP OR PREVENT THIS UNSAFE PRACTICE? All liquid chemicals must be kept or stored on their respective containers. If it was used with another container, provide a proper identification label. Do not keep the liquid chemicals on an unlabeled containers. Do not use drinking bottles for any other purposes. Assigned a trained or competent person at site to monitor and control hazardous chemical substances. Conduct toolbox talks and communicate to all workforce on this regard. 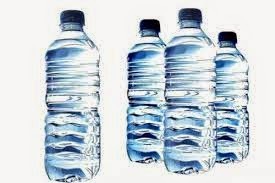 Following this five (5) basic good practice, will eliminate the issue of chemicals in drinking water bottles.